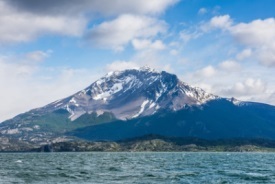 Sail through the Chilean Fjords and be amazed at the spectacle of abundant marine life and stunning scenery. Admire the backdrop of mountain peaks and pass by walls of blue glaciers as you cruise along. There are plenty of opportunities for wildlife photography as the fjords are home to many exotic birds, seals, sea otters, dolphins, and whales. Relax and enjoy the ride as you sail through these amazing fields of ice.